Spray foam insulation or polyurethane spray foam is a wildly used product today and has become an essential part of modern life. From the foam filling in your pillow to the sound absorbers in your car, polyurethane products are everywhere, I'm wearing running shoes with polyurethane foam soles as I write this. Polyurethane spray foam as an insulation material is unrivaled when it come to its airtightness properties as well as because of it ability to find its way into every nook and cranny. 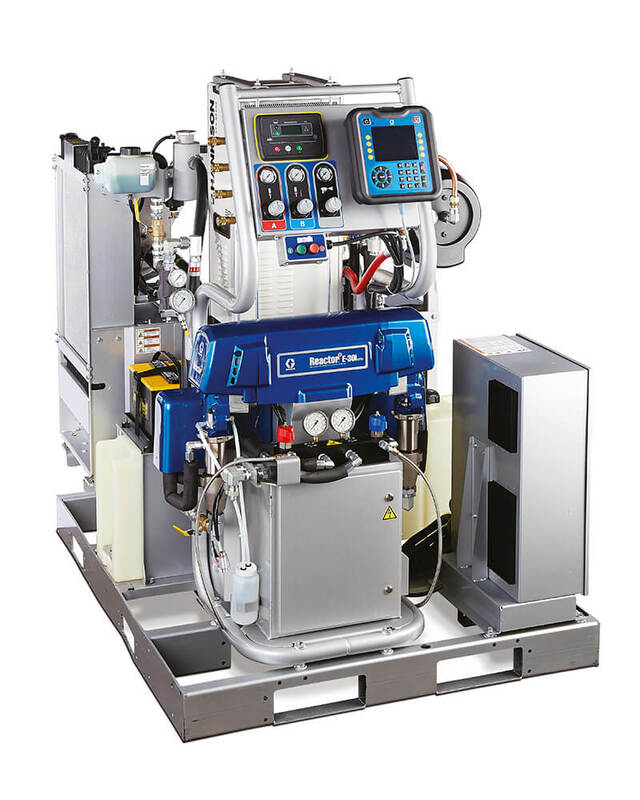 Both are made when 2 compounds a isocyanate and a polyol resin are combined in an exothermic reaction at the tip of a spray foam gun to create eith open cell or closed cell spray foam. What type of foam is created depends on the make up of the polyol resin. 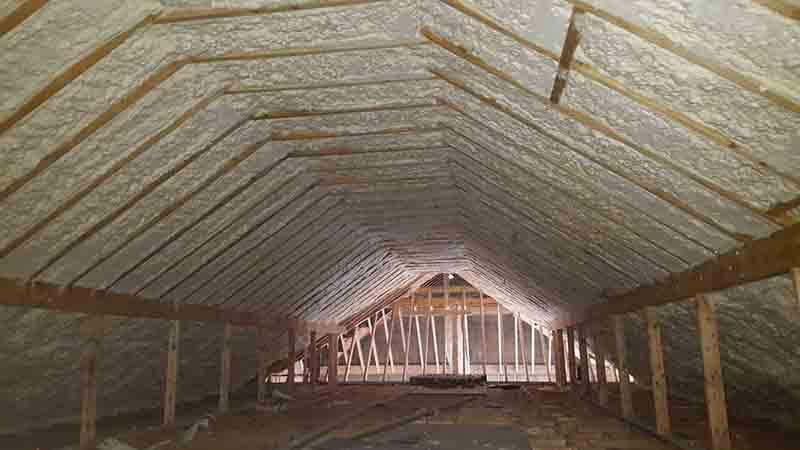 We use NSAI Agrément certified E 500 open cell spray foam insulation in all attic insulation applications. 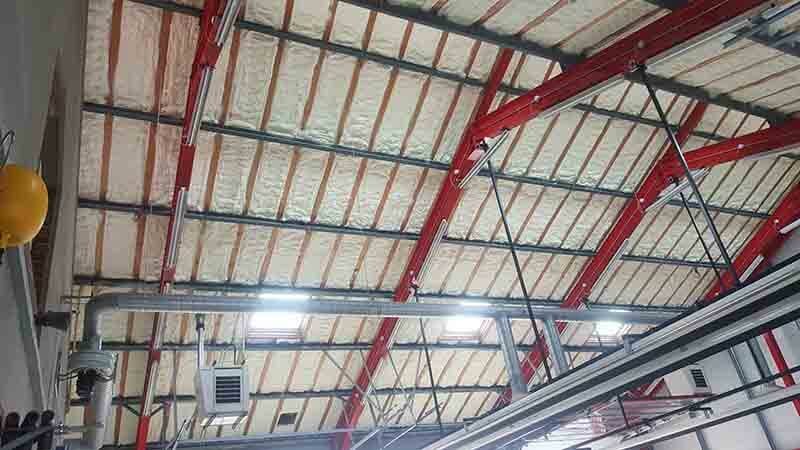 Open cell spray foam insulation expands to over 200 times its size in seconds filling every minute nook and cranny. This creates a continuous airtight seal when applied in your attic preventing heat loss and damp and mold. Every residential building creates water vapour, showers, cooking, breathing and exercise all contribute to water vapour buildup in your home. If allowed to escape your building it condenses and forms damp and mold which can be extremely hazardous to your family's health. 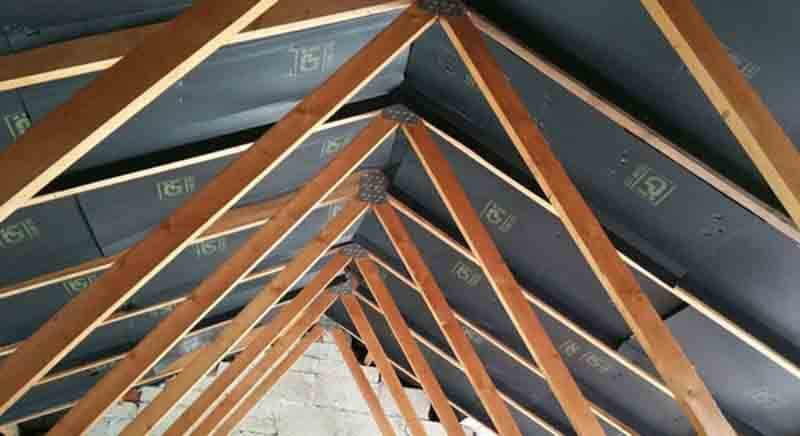 With this in mind Irish Building Regulations stipulate that a 50mm air gap or void be maintained between the roofing deck or felt and the insulation material. After a lot of trial and error we developed the 'breathable vent card system'. We attach the ridged yet permeable vent cards to the rafters exactly 50mm from the felt and then we spray open cell foam on top. 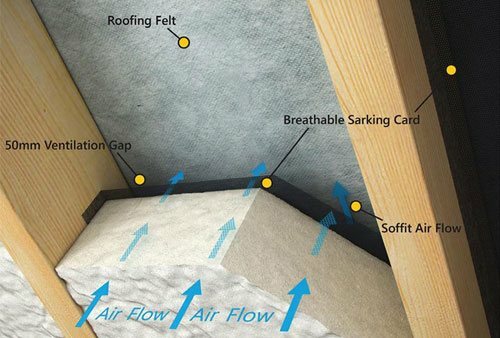 Our open cell spray foam insulation allows water vapour to pass through it then through the vent card into the air gap and out through the roof ridge ventilation gap. 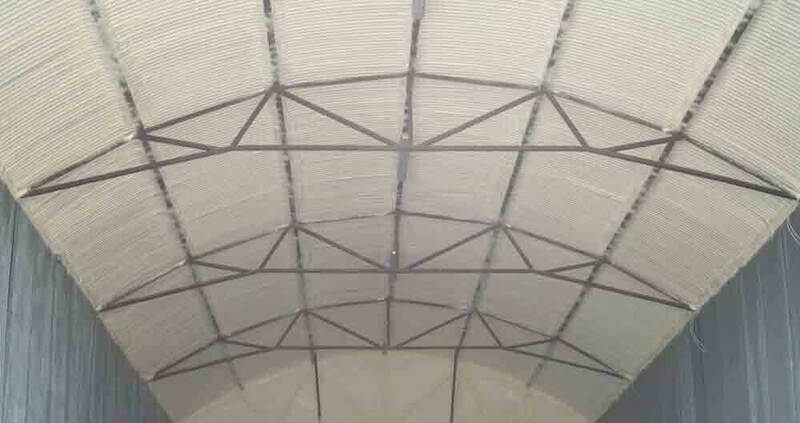 Used to eliminate damp and condensation, closed cell is often used in commercial shed application to reduce the build up of condensation as well as for its thermal properties. Closed cell spray foam is used in commercial shed, industrial shed and agricultural farm shed applications. The foam can be applied to any metal or concert structure. It is not breathable and forms a dense rigid material that straightens your existing structure. The foams expansion is much less than that of open cell spray foam. 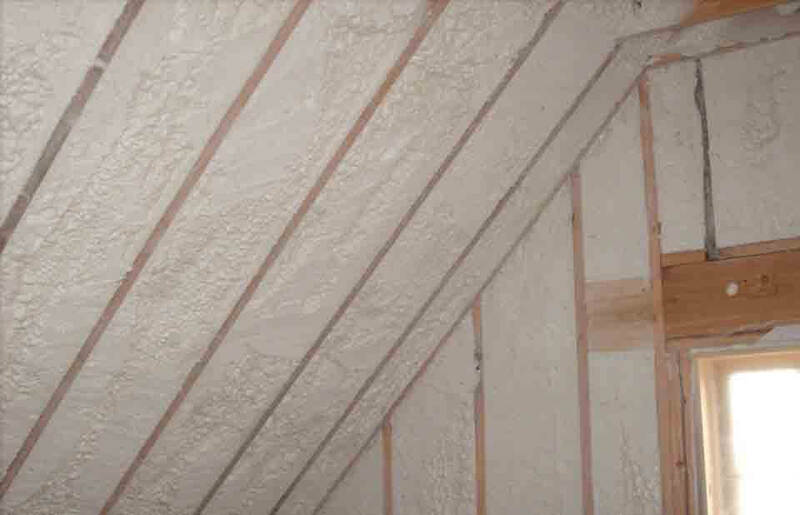 If you would like to find out more about how spray foam insulation can help insulate your home or business or would like a FREE quote from one of our network of contractors, fill out the form below and we will get right back to you. We look forward to hearing from you. 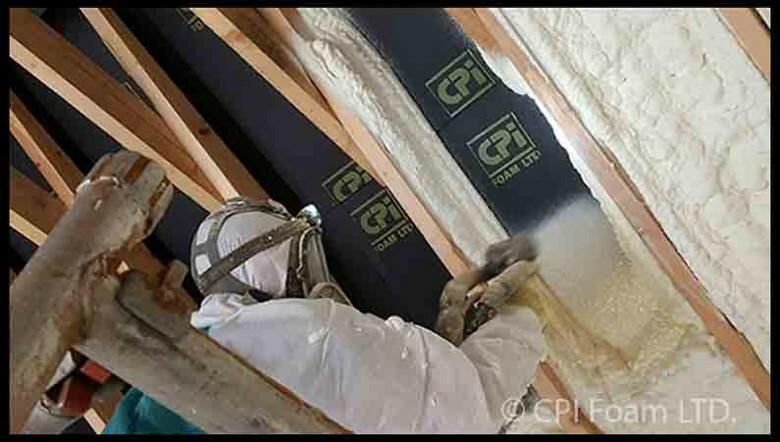 CPI Spray Foam Insulation supply a nationwide network of insulation contractors which have been professionally trained to use our open cell and closed cell products. 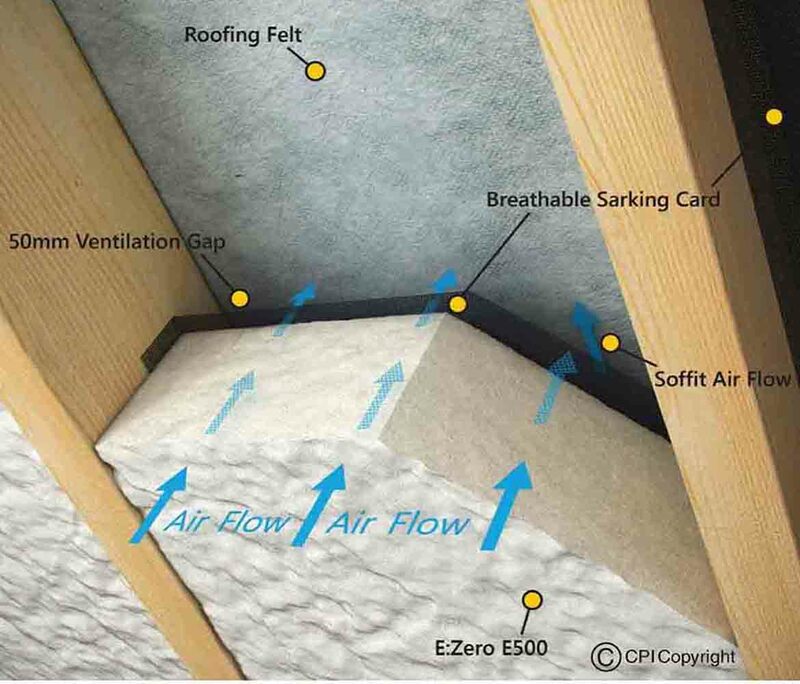 All our contractors use NSAI Agrément tested Breathable Vent Cards and E Zero E 500 Open Cell Spray Foam Insulation. There is a 25 year manufactures guarantee when you use CPI spray foam insulation products, make sure to ask for your written guarantee after the job is finished. 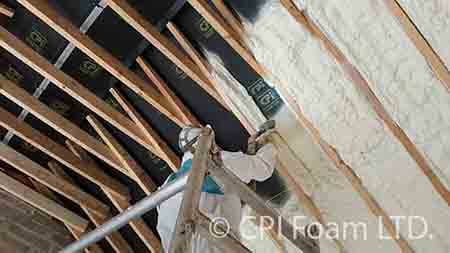 If you require any further information about CPI or spray foam insulation don't hesitate to contact us on 0404 66111.